Anders Antonsen achieved his career's biggest triumph at the Indonesia Masters. 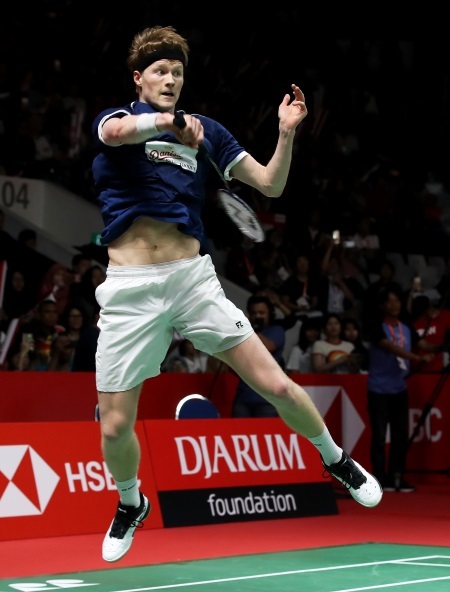 Title favourite Kento Momota was outplayed in an absorbing 79-minute contest by Anders Antonsen as the Dane won his first major title at the DAIHATSU Indonesia Masters 2019 today. Antonsen showed great maturity in not only executing his game plan, but keeping his head at the end in an arena bursting with thousands of excited fans. The 21-year-old Dane, in his first final of this level, produced the perfect recipe to unseat Momota in a result that ran counter to most pre-match predictions: 21-16 14-21 21-16. The women’s singles final ended on an unhappy note, with Spain’s Carolina Marin collapsing in pain due to a right knee injury while leading 10-4 against India’s Saina Nehwal. 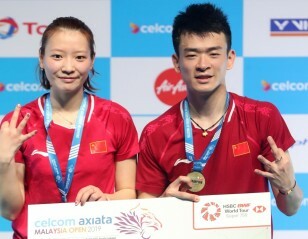 The three doubles titles were split between Indonesia (men’s doubles), Japan (women’s doubles) and China (mixed doubles). Antonsen (featured image) showed great maturity in not only executing his game plan, but keeping his head at the end in an arena bursting with thousands of excited fans. Aware of Momota’s dominance at the net, with which he had destroyed his compatriot Viktor Axelsen in yesterday’s semifinal, Antonsen kept him away and in the deep. Making clever use of the high lifts instead of the attacking clears to negate Momota’s quick game, Antonsen challenged the Japanese into finding ways to create openings. Too often Momota himself lost patience, and that played into Antonsen’s hands. The match had its twists, as the top seed recovered in the second with Antonsen unable to control his high lifts due to the drift; but it once again acquired a different complexion in the final game as the Dane varied his game well and kept Momota under pressure. All through the match the Dane was magnificent in his anticipation and footwork in dealing with Momota’s softer shots and his rasping smashes; rarely was he caught off-position, and the world champion’s frustrations in being unable to find his openings was apparent. Antonsen’s own smash was used sparingly but with deadly efficiency. It was a superbly calibrated performance, efficient and opportunistic, his demeanour between points conveying a sense of total control. 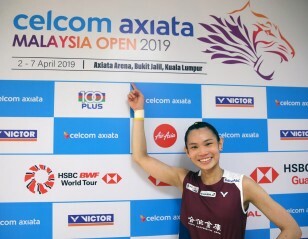 “The crowd was amazing, so it was an absolute pleasure to play here and it’s a big dream for me to win the tournament in Istora Senayan. It’s an iconic place that we always talk about in Denmark. It’s absolutely crazy to win my first (World Tour) Super 500,” said Antonsen. 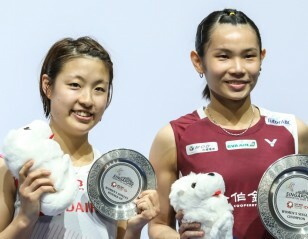 “I was six when I started playing badminton and I was always dreaming about winning one of these titles. So it’s crazy… finally I’ve done it. And it’s my first major. I can’t even describe how it feels. 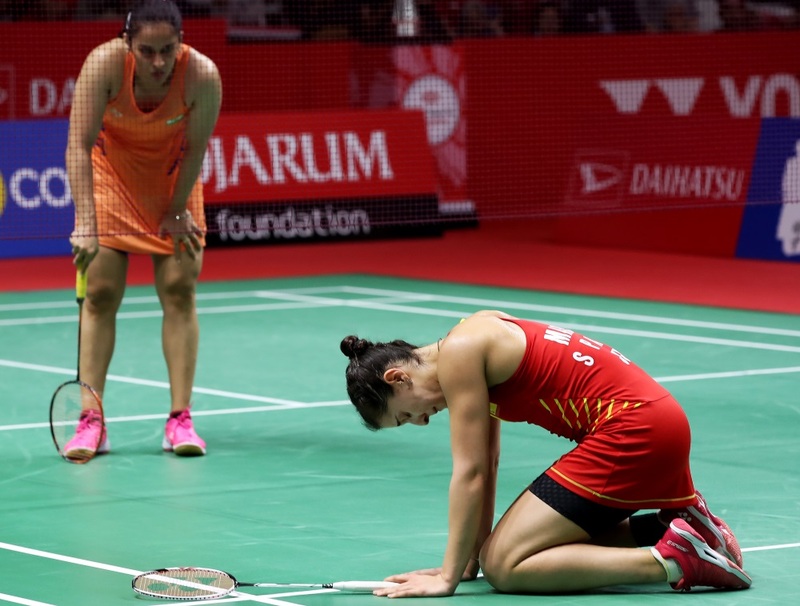 Saina Nehwal, who herself had a serious knee injury at the Rio Olympics, commiserated with Carolina Marin, who collapsed in pain while leaping for a shot. 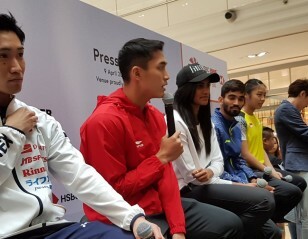 Her retirement gave Nehwal her first tour title since the Malaysia Masters in 2017. “It’s not good to see at all. I’ve been getting injured for the last two-three years, and to see something like this happen is very painful,” said Nehwal. “I know how it is mentally, and I was also upset before the Olympics. It’s a cruel thing for all the players. Carolina is the fittest among us, and if something like that happens to her, it’s very painful. 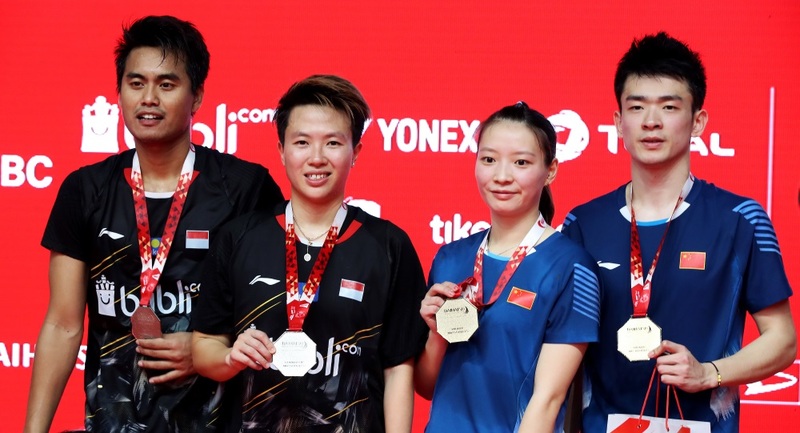 Liliyana Natsir was denied the perfect farewell gift to her accomplished international career as she and Tontowi Ahmad went down to China’s Zheng Siwei/Huang Yaqiong, 19-21 21-19 21-16. Zheng and Huang might thank their lucky stars, for Ahmad was wasteful in blowing a number of sure winners. 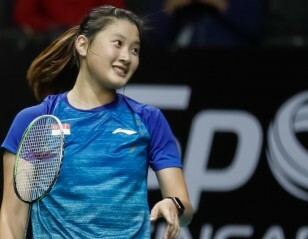 That the Indonesians kept it going into the third game was largely due to Natsir, who was unflappable at the net, and getting the better of her opposite number Huang Yaqiong. Still, with Ahmad faltering ever so often, the third game quickly went out of their grasp. It wasn’t the kind of farewell performance Natsir would have hoped for. All the three doubles results followed recent form. 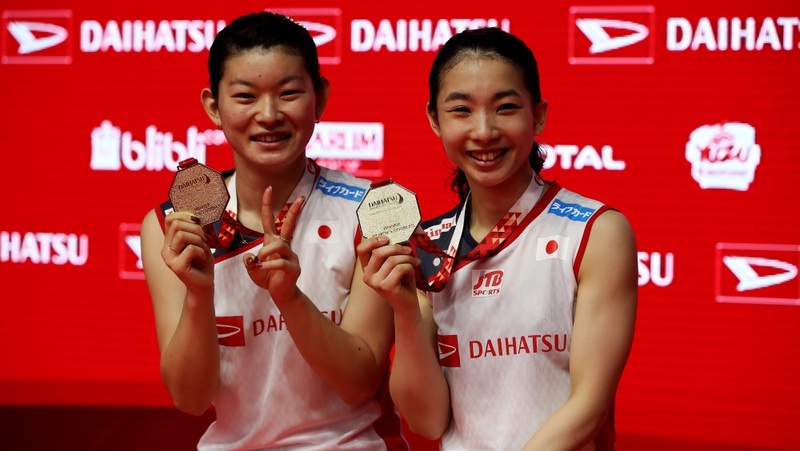 Marcus Fernaldi Gideon and Kevin Sanjaya Sukamuljo picked up their second World Tour title this year, beating compatriots Mohammad Ahsan/Hendra Setiawan 21-17 21-11, while Misaki Matsutomo/Ayaka Takahashi got the better of Korea’s Kim So Yeong/Kong Hee Yong, 21-19 21-15. Before the start of the finals, Natsir was given a warm farewell by PBSI in the packed arena, with thousands of spectators chanting her name.